When you use a bail bond to post bail for a person there are a few responsibilities that you take on. As the co-signer of the bail bond, also known as the indemnitor, you have to take a few steps to ensure that the defendant does not end up back behind bars before their trial. If you have any questions about the use of bail bonds or the bail bonding process do not hesitate to reach out to an expert bail agency to get the answers you require. Here are the responsibilities that you take on when you use a bail bond to post bail. When you first get the call from a friend or relative that is in lock up and requesting your help to post their bail be sure to get a some information from them. In order to expedite the bail process you will need to know which jail they are at, their booking number, and the charges they are facing. You'll also need their full legal name and birth date, if you don't already know it. 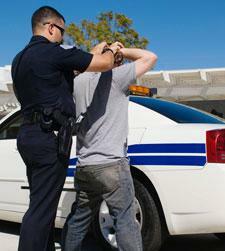 Once you have this info you can reach out to a bail bond agency to begin the bail process. Your first responsibility will be paying the bond premium, which is usually 10% of the total bail amount. This can generally be paid using cash, credit or collateral. Once your loved one is released you are quite off the hook. It is your responsibility to make sure that the defendant appears at each and every one of their scheduled court dates. If they miss a day in court a warrant will be issued for the arrest, which would result in them being returned to jail. If this is to occur you may also be subject to additional fines related to the cost of capturing the runaway and you may be required to pay the full bail amount. There are also several things that you can do to help the defendant that are not legally your responsibility. This includes helping them find proper legal counsel so that they get the best possible defense. If you have any questions about bail bonds or if you need to post bail in Marin County reach out to the friendly team at 5 Star Bail Bonds. For more than 50 years we have been helping people get out of jail with fast and affordable bail bonds. Give us a call day or night at (415) 479-4800 to request more information about Marin County Bail Bonds.